Full sensory stimulation. Delicious, beautiful, and playful creations, and the elegant setting in which you dine make Suetomo an experience your senses will never let you forget. Overflowing with hospitality, your every need will be met and every taste desire satiated. Walk down Hanami-koji lane, oozing with the atmosphere of old Kyoto with its’ wooden teahouses and red lanterns. Hear the distinctive sound of wooden geta on the stones as a geisha makes her way to an evening venue. Continue through Kennin-ji, the oldest Zen temple in Kyoto, and emerge from the south gate to find Suetomo there in front of you. This is the heart of Gion in Kyoto. The austere exterior is a simple combination of wood, stucco and ceramic roof tiles. 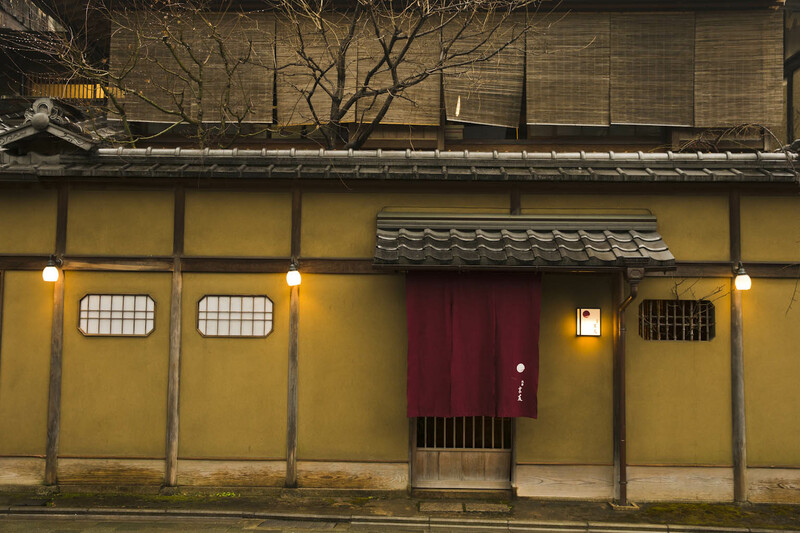 As a visitor to Japan, sometimes it can feel intimidating to poke your head under the noren curtain and slide open the wooden door to a restaurant, but you always know it will be worth it. At Suetomo, not only will you be rewarded, you will be transported. A small path takes you past flowers, lanterns, and a miniature weeping willow tree. You tune in to the soft sound of water trickling through a bamboo fountain. The architecture, the seasonal motifs, and the pause outside before proceeding to the meal are all elements from traditional tea ceremony culture. In this slightly dark and highly atmospheric waiting space, you are invited to take a sip of hot tea or cool shiso juice and take a deep breath, so you can ease into a beautiful and relaxing evening. An unvarnished wooden counter seats eight generously, and the private room can accommodate up to ten guests. Precisely because of the minimalist interior, small details like a crimson autumn leaf or a branch of blossoming plum draw you into that season and that moment. This is the essence of Kyoto. 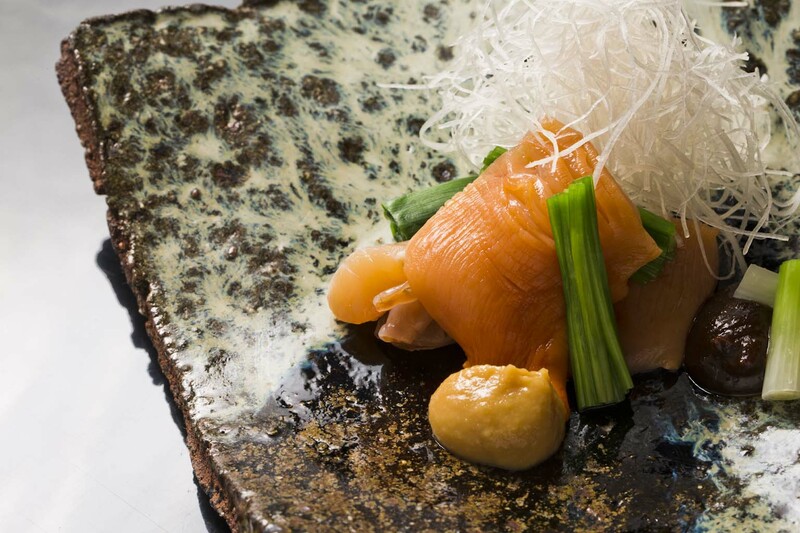 Playful and entertaining twists that stimulate all your senses characterize the cuisine at Suetomo. Following the pattern of traditional Japanese kaiseki cuisine, guests are immersed in the dining experience not just by devouring the finished product, but by enjoying the whole preparation process. Confidence in the techniques that form the foundation of washoku allows Chef Suetomo to experiment with different ideas and challenge himself outside the traditional realm. 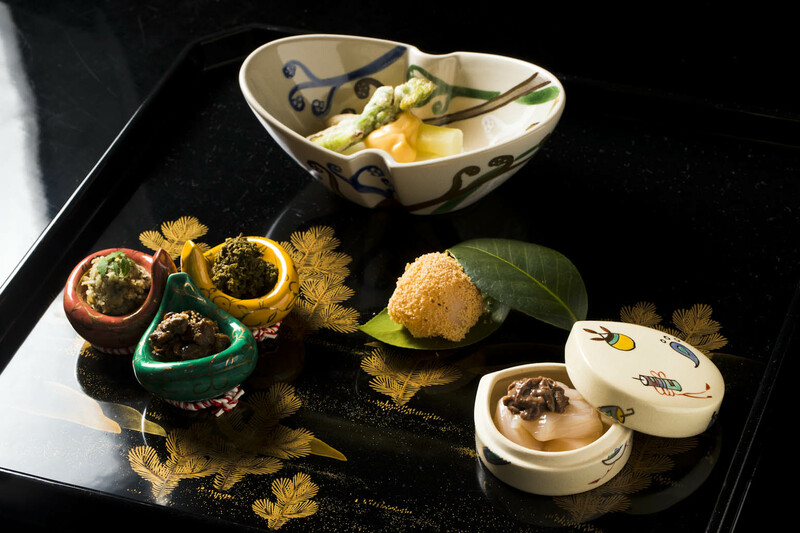 With the distinctive refinement of kaiseki and a clear sense of the season, you can delight in the best ingredients year-round and gain insight into the mystical culture of Kyoto and Japan. The sights, smells and sounds are all so tempting. Tiny moroko minnow fish lying flat over a charcoal grill are poked head-first through the wire as though darting through water. 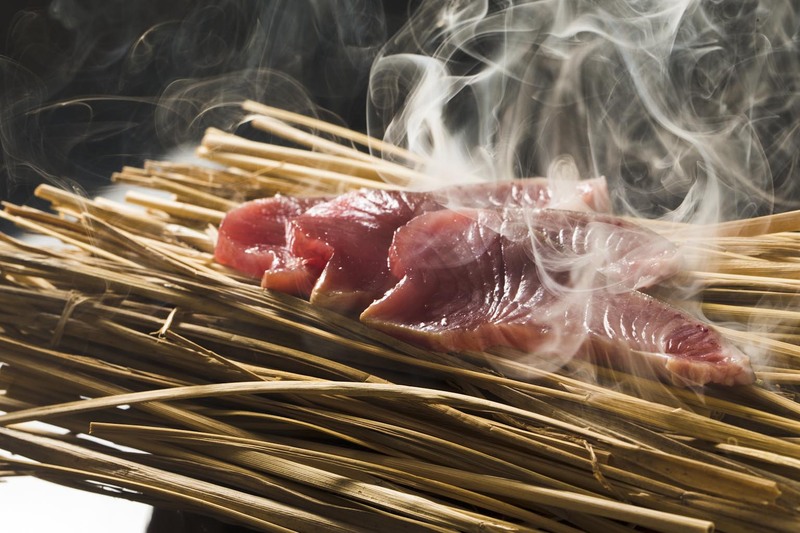 Mouthwatering aromas emerge from bonito as it smokes over crackling, burning straw, and a thick swirl of smoke rises. 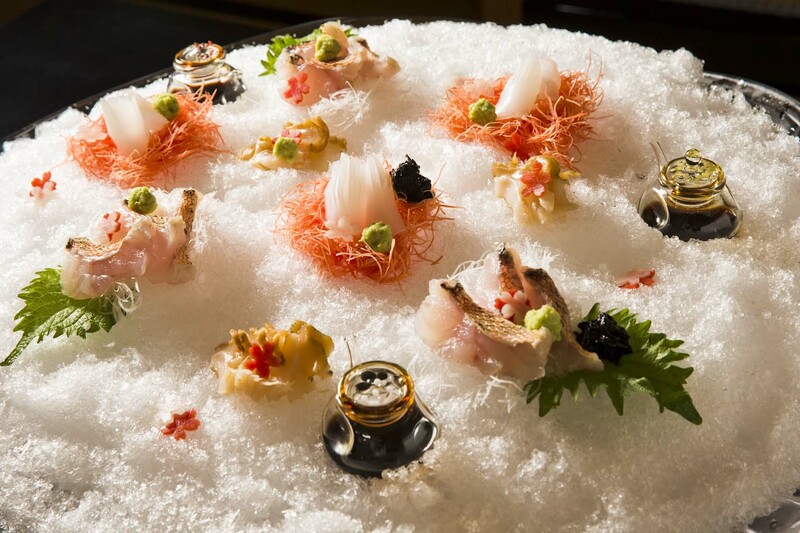 All the components are put together and each course that arrives is like a work of art: a sashimi plate as colorful as an artist’s palette; a selection of little dishes each revealing a tasty gift inside; and satisfying bite-sized fish topped with a sprinkle of green herbs. The chef has cleverly involved you in every step, heightening all five senses, so when you finally get to take a bite the flavors are heavenly. Perfect seasoning. Luscious and scrumptious textures. Absolutely delicious from the first dish to that last sip of freshly whipped maccha green tea. When it comes to ingredients, most chefs talk about produce and proteins. For Chef Suetomo, it all starts with water. In fact, his prerequisite for the restaurant location was that it afforded access to crystal clear Kyoto water and the ability to build a well. 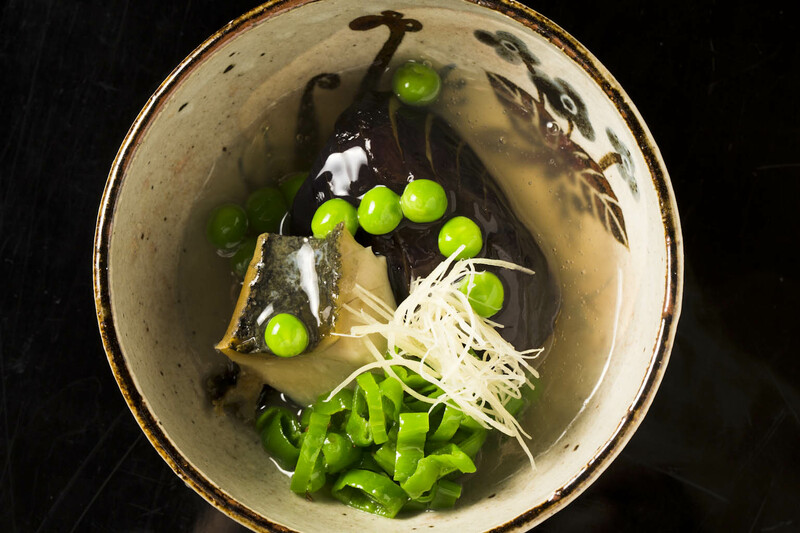 The quality of the water is paramount because Japanese cuisine depends on the delicate flavors of dashi stock to bring out the innate flavors in ingredients. Thus, the first thing Suetomo did was to build the well from which he draws the water essential to his cuisine. 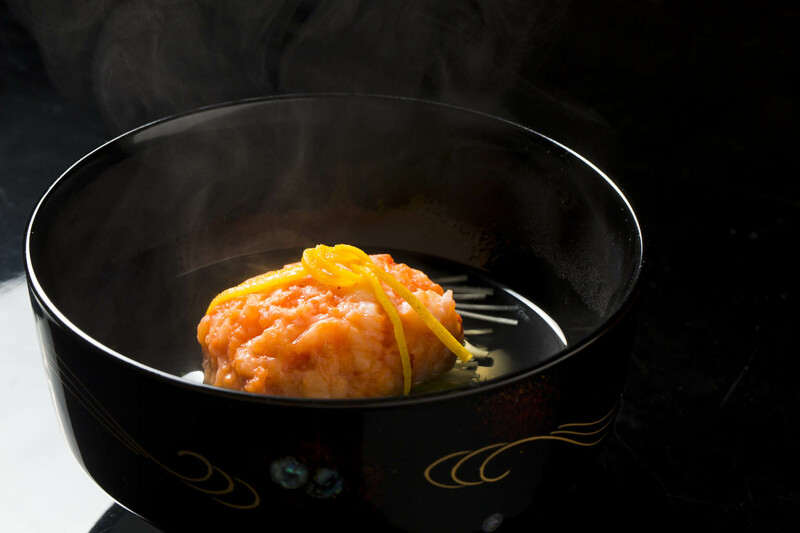 Courses may be created around sweet and succulent Taiza crab, a winter delicacy from northern Kyoto, or they may feature other seasonal specialties like matsutake mushrooms, ayu sweet fish or wild boar. 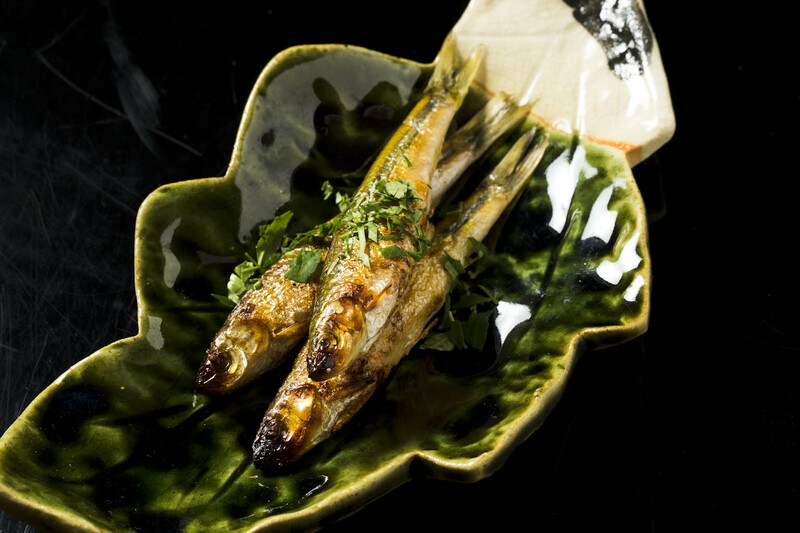 Chef Suetomo cooks moroko minnow fish, a local freshwater species from Lake Biwa in neighboring Shiga Prefecture, over charcoal, dousing them gently with vinegar to soften the bones and enhance the flavor. 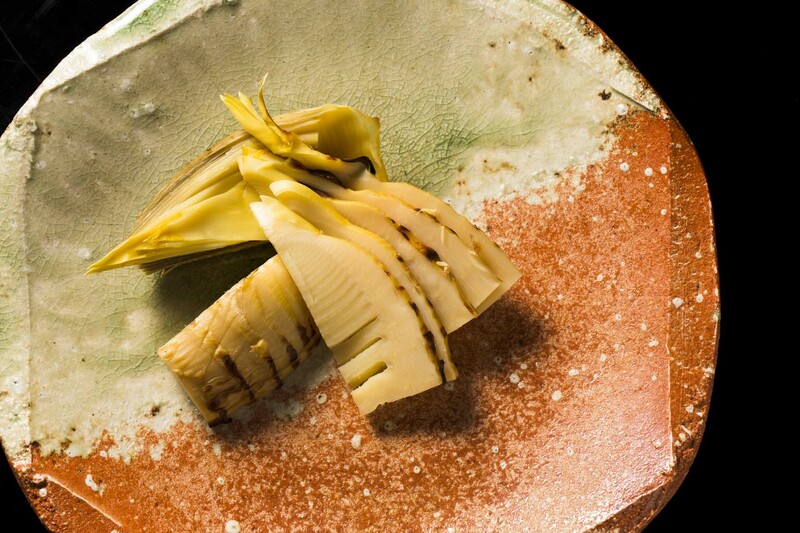 Unique Kyoto vegetables also appear, prepared to perfection: Shogoin daikon, with a mild taste and fine white flesh; full and round Kamo nasu eggplant that soaks up rich dashi flavors without losing its shape; and a taro variety called ebi imo, with a smooth, sticky texture and faint sweetness. All of these are a perfect match for the delicate flavors of Suetomo’s Kyoto cuisine. The delicious rice that completes the meal is from the picturesque village of Miyama in the highlands of Kyoto, known for its thatched roof houses and bountiful nature. 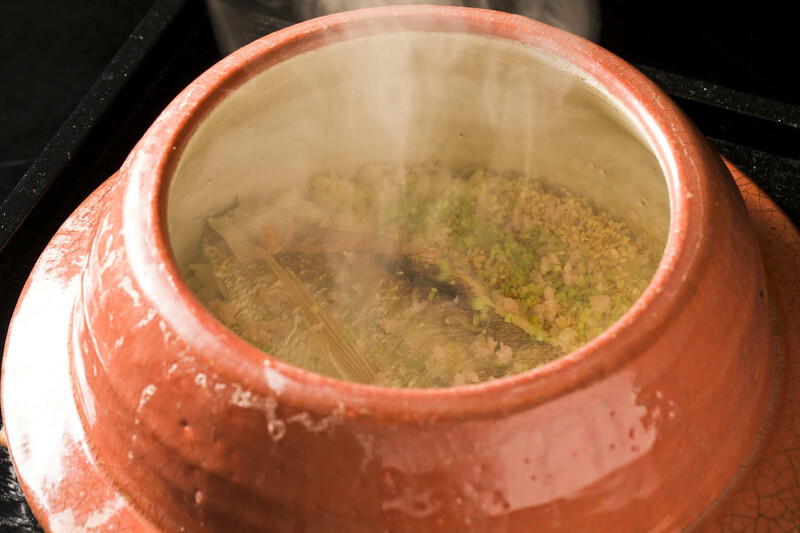 Cooked in a clay pot and infused with the flavors of whole sea bream, the rice texture is perfect and the taste is so comforting. With minimal touches, Suetomo allows the ingredients to speak for themselves in his seemingly simple yet deceptively complex cuisine. 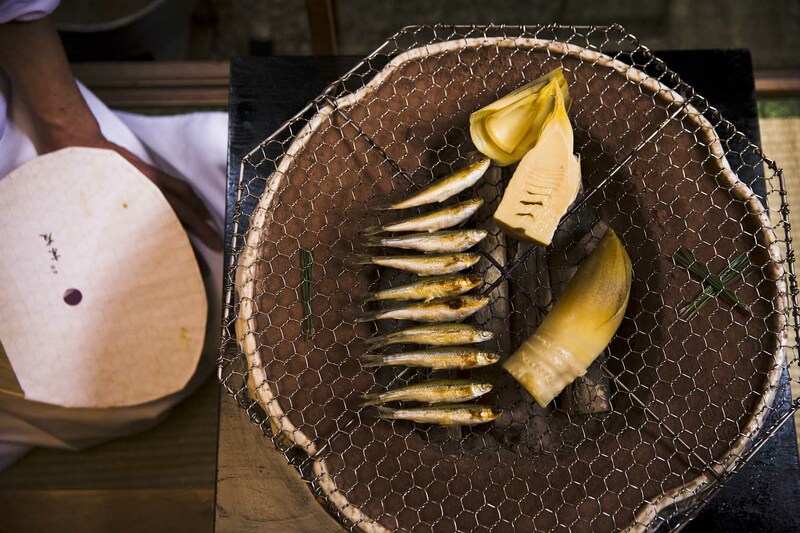 A Kyoto native, Hisashi Suetomo grew up in a family of fishmongers. From an early age he tried his hand at cooking. His grandparents’ happy faces and effusive responses of oishii were the motivation that set him on the path to becoming a chef. He realized that his cooking could make people happy and that the career of a chef could be very fulfilling. Basketball talent earned Suetomo spots in national tournaments and even entrance to a university, but he decided to forgo all of that for culinary school. His second job after graduation was in the kitchen of a renowned Kyoto chef at Gion Maruyama. Over eight years of very little sleep, Suetomo learned the foundations of Japanese cuisine and the spirit of tea ceremony. He took his skills with him to Gion Hanakasumi before deciding to go independent in 2008. With a very discerning eye, it took Suetomo more than a year to find the perfect place for his new endeavor. He clearly works hard at whatever he pursues. He has high expectations and is strict with his staff, but not in the least unkind. He has a highly refined core but as he laughs and chats in a lively manner, you get the impression that he feels he can relax, now that he has found success on his own. Chef Suetomo wants to wow people with a dining experience at Suetomo. 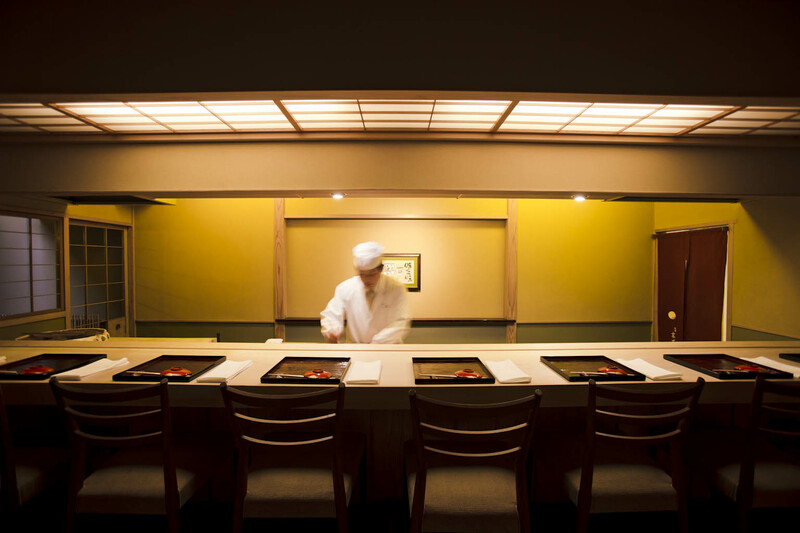 He loves simple, minimalist, Kyoto-style food, but he likes to include more entertainment. His idea of a beautiful meal is when all five senses are engaged and stimulated so much that the whole experience becomes unforgettable. This is the inspiration behind his fun, entertaining style at Suetomo. There is so much talk about cooking by subtraction – constantly simplifying, editing and removing superfluous ingredients or seasonings. But Suetomo believes there is very much a place for adding, layering, and elaborating in cooking too. With his unique philosophy around Japanese cuisine, Suetomo’s dream is to start his own cooking school. In a market where so many culinary schools teach the cuisine of other cultures, he sees a niche for focussing purely on Japanese cuisine to raise the Japanese chefs of the future. The creative and unique collection is a combination of lacquerware, pottery and glass, both in antique and modern styles. 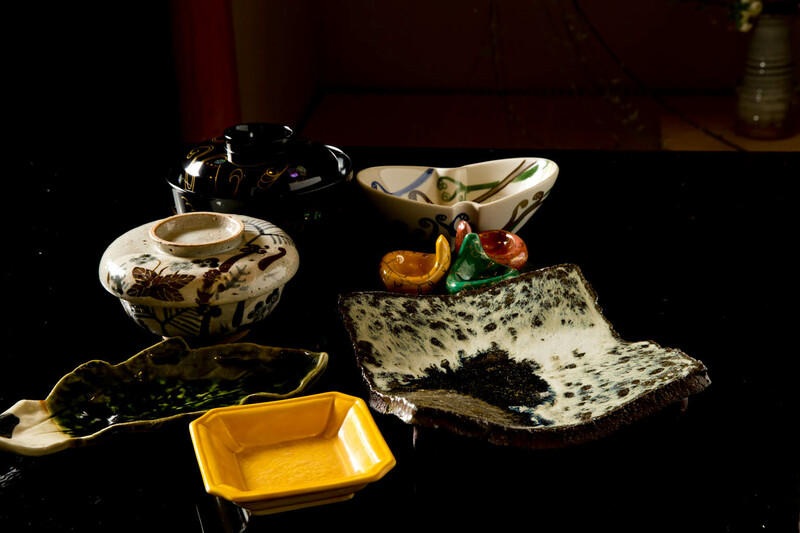 Almost every item of tableware at Suetomo has been made especially by a few craftsmen to convey the chef’s refined tastes and showcase his delicious cuisine, providing rich visual stimulation. The chef’s sense of the aesthetic is clear not only in the individual items, but also in how he pairs food with the tableware, and how they flow in the progression of the course. Ceramic items in relaxing deep greens and contrasting creamy colors or earthy tones may be followed by dishes in vivid oranges and yellows. A glass bowl with a wavy rim is reminiscent of the sea. 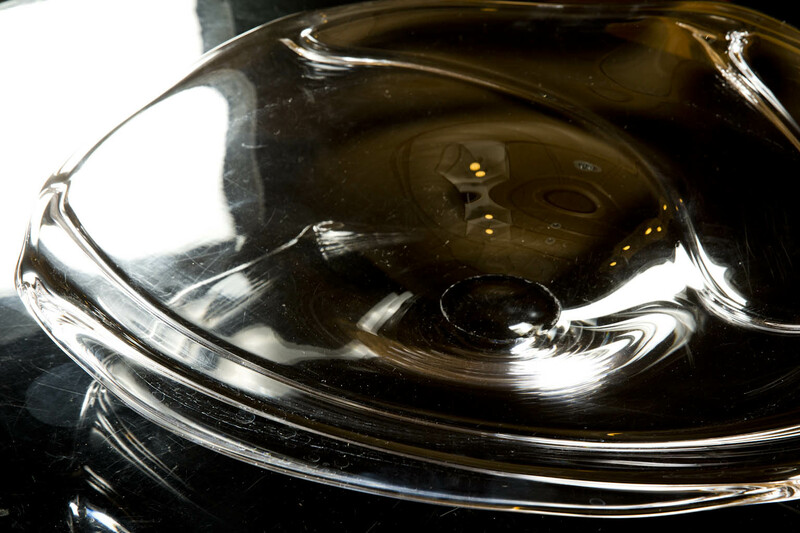 The lacquerware bowls maintain the perfect temperature and trap the heady aromas of yuzu or ginger that waft and delight guests as they delicately remove the lid. And pieces with generous thickness or plump roundness exude the chef’s warm nature. With the vessels themselves and the foods they present, nothing is coincidental – every item is purposefully placed to please the guest and convey a sense of the season, cooling you on a hot summer’s day or warming you from winter’s harsh cold.